I attended Wednesday evening an excellent meet up about the hot topic of the moment: growth hacking. The meet up was held by The Family one of Paris’ newest and fanciest accelerators. Despite being a very accurate, well documented resumé of the variety of articles out there, as first event of this type the meet up was more an introduction to what growth hacking is, and several techniques were being exposed. The speakers were Oussama Ammar co-founder of The Family and Willy Braun Délégué Général at France Digitale, both confronted with startups and their problems on a daily basis. 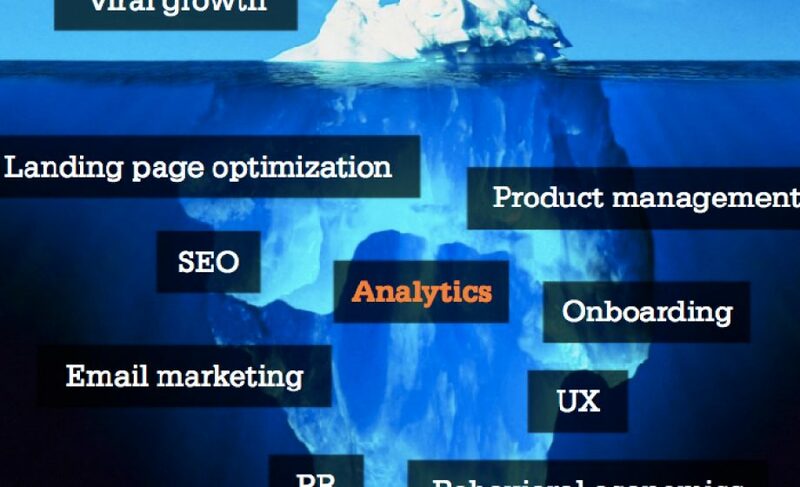 So what did I learn about growth hacking? Read on. As one may naively think, growth hacking is the possibility of growth by hacking. Ok, but hacking what? Well, data mostly but not exclusively. Growth hacking is about being imaginative and finding innovative ways of growing: like piggybacking on somebody else’s audience as AirBnB famously did with Craigslist. As Oussama Ammar summed it up growth hacking is all about keeping in mind the 3Ds: Design Data Distribution. Thus, the ideal growth hacker besides being familiar with marketing and coding also has the aptitude of imagination and diversion thinking. He or she is driven by data but is curios and has the passion of learning and experiments a lot. He or she knows that the growth phenomenon for a startup or a product is not a natural one, but has to be studied and understood. For a growth hacker using the right data is essential: trying a lot of metrics, A/B testing, cross checking with data from rock stars in his field, and paying attention to the feedback is essential. Traditional marketing is all about bringing people to the product, where growth hacking is understanding that a good product is the #1 source of revenue. Using growth hacking techniques one would more easily acquire and keep users which is what everybody wants. “the cemetery”. It stands for studying the people who subscribed to a given product but never actually used it. This kind of metrics is not the first that comes in mind but once you think about it, it gives a valuable insight which leads to better decisions. the referral : pictured by the famous “pay with a tweet”, could also be an “economic deal”: you get more of my product for free if you recommend me to other people. This technique also helps converting the subscribers into active users of your product. vanity metrics are useless: as it was underlined last night core metrics that are a real game changer by giving valuable insight and helping your product grow as Eric Ries presents it in this blog post. Airbnb: besides the famous example of hacking Craigslist out it was the professional photos that made all the difference and brought in something like +60% conversion rate. Airbnb decided to invest in this feature and begun hiring freelance photographers, which greatly contributed to the site’s success. Twitter: in the early days the average Twitter user had 30 followers and only a minority of them were active users. With this in mind they started focusing on structure, design, and making it easier for users to follow interesting content. They also started convincing famous people to come over to twitter and engage with fans and this was just one of the things that lead them to their phenomenal growth. Circle of Friends became Circle of Moms after noticing that the majority of their active users engaging and creating content were moms. They rebrand the company and focused on attracting and engaging mothers. It was a risky bet but after losing all the other users, they managed to reach a healthy growth making the experiment a success. The meet up was an accurate starting point for understanding growth hacking. It was awfully crowded sign that the Parisian tech & startup community is curious and interested in being at the cutting edge with the latest concepts and techniques in succeeding a business. Faced with this collective enthusiasm the speakers promised to organize other events in order to deepen and develop the topic, which is great news as I’m sure all of the attendees are looking forward to further meet ups. For more information about this first meet up you can also check out this Storify board. The problem is that we always take the same example of growth hacks (Airbnb, Twitter, Hotmail…) but as they have already been used and re-used they’re not effective anymore.